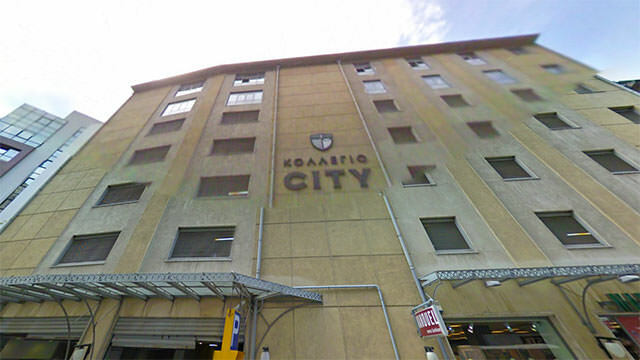 City College : Thessaloniki is a Public, Non-Sectarian, Interdisciplinary, College established in 1989. The campus is located in Thessaloniki, Greece and hosts students with an endowment of $0 (2014). Two months before the end of my senior year in High School, I was still struggling trying to decide which University to attend. I just couldn’t seem to make up my mind. Many University presenters visited us and showed us why their college would be the best thing for us. They all seemed boring, unprofessional and insincere. Than one day, Mr. Gregory from City College, faculty of University of Sheffield, came and gave us the presentation of the college and student life in it. I made my decision, it was love on the first sight. Perfect city, young citizens, great climate, affordable scholarship and amazing Career opportunities and teaching methods. Few months forward, and I’m in Thessaloniki, ready to start the first days of my college life. As a first impression, I was completely thrilled. And that impression lasted till the day I’ve graduated. The professor’s are highly professional, outgoing and ready to go their way to help students really grow as a professionals, not just get their heads filled with information. In most college’s, there’s lots of studying and quite few opportunities for practical exercises and work. In City College, it was reverse. We’ve been working on projects both individually and as groups all the time. We had competitions, presentations and lots of practical work. Group projects made students work as a team and brainstorm together in order to do as best as possible. This got us close. We all started hanging out together after classes intensively. I soon found a roommate to live with and we shared the rent, which was around 300 euros monthly. By the time the deadlines for exams approached, we already mastered what needed to be learned by working on projects and using the knowledge practically that we almost had no need to read books, as we learned it all with the help of professors along the way. The learning process went just as I wanted it to go, we weren’t just stuffing ourselves with information, we were learning to be great thinkers capable of professionally making business decisions and coping with challenges that come along the way. But than, the party life in Thessaloniki. I can’t tell for sure as I’ve never been to capitals of party and sin (Las Vegas, Ibica…) but I’ve never seen anything like Thessaloniki. Rock concerts, weed bars, incredible night scene, beach, thousands of young people just like you willing to party… I’ve had the time of my life there. Now, the only downside I must warn others of is the fact that it’s a sea-port city. Meaning, there are lots of immigrants from poor countries of Africa and Europe (Albania and similar) that are causing troubles around the city. Tourists can’t pass through crowded street without being hassled by African immigrants for money, pickpocketing, selling of “lucly jewelry” and similar. But this is a very small issue, as they mainly target tourists, and once you’ve learned how to handle and avoid them, you won’t have any issues. And if the problem is unavoidable, Thessaloniki has a great Police Department that respons expressly to any calls. So, avoid getting in fights drunk or insulting the immigrants in demeaning way and I assure you, you won’t have anything but pleasant time both in the College and the City.